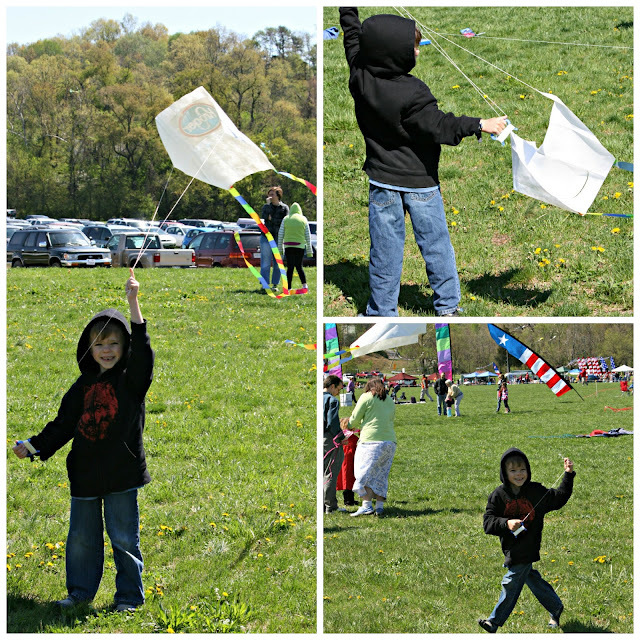 One of our favorite festivals each year is the Blue Ridge Kite Festival. We missed last year, due to a conflicting event, but were happy to return this year. It's located in Salem, Virginia, and is a free event. It was windy and a little chilly this year. There were so many beautiful kites high up in the blue skies. Kids receive free kites and t-shirts, so here are the boys coloring their kites to get them ready to fly. Pierce had a blast running around with his kite. It was windy enough that he didn't have much trouble at all getting it into the air. What a fun way to spend a windy Spring morning! Looks like fun! Those are beautiful and colorful kites against that blue sky. You are reading my mind with your posting. I have just been telling my Hubs we need to get a kite for our Grandson. Pierce sure looks like he is enjoying flying his. Looks like a fun event for any age! Great shots Lisa. That's great ! I love Salem Va we go there all the time !!! Sounds like its a fun ! What a great family outing! Oh my grands would just love that-what a fun way to spend the afternoon! Nice! Our son has made a similar kite at Cub Scouts Twilight Camp. They work surprisingly well! 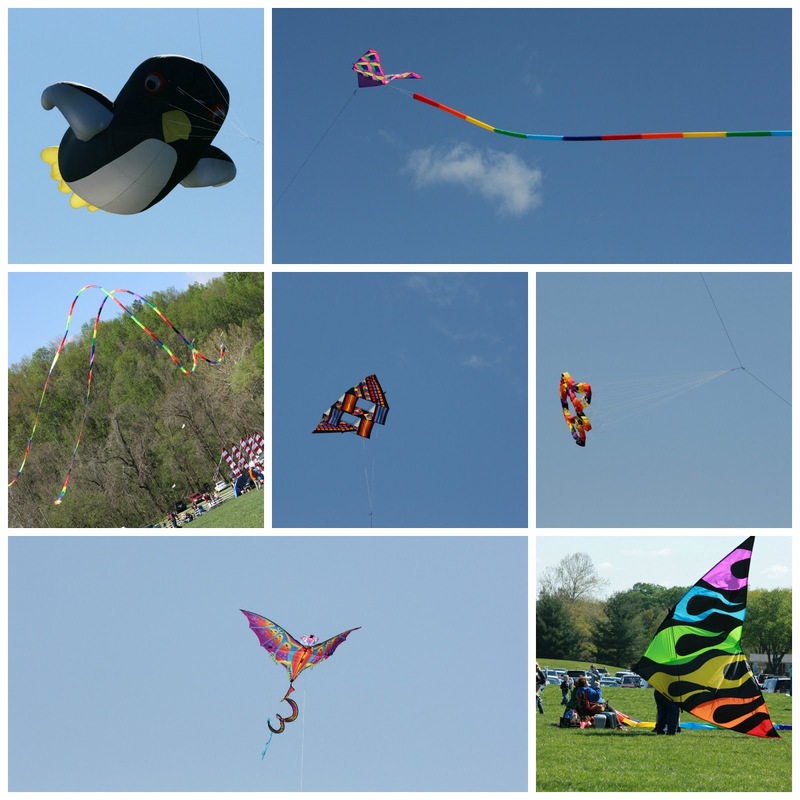 The Blue Ridge Kite Festival is always held the 3rd Saturday in April. For new kite flyers, the sled kites and delta kites are the easiest to fly. What a fun event. Love the collages. I need to learn how to do that! This looks like so much fun! We still need to fly kites here. OH how neat, Lisa... I remember doing the same thing with my sons.... Pierce has the 'hang' of it, doesn't he???? Looks like a great day! The sky is wondrously blue. You got some good photos! Your boys always seem so absorbed in what they're doing, and always seem to have a good time. That's so nice to see. Hi Lisa when I read the title I knew I had to stop by...love love kites and these are sooo pretty! Seems like so much fun... thanks for sharing! It does look like a fun day for you guys-I can see it in your wonderful pictures! Glad the weather cooperated with your kites. Nothing quite so fun as a kite on a windy day. You got great shots!! I love the running with the kite one. And a good variety of kites on your collage. We have a kite festival each year, but not as much kite variety as you have. 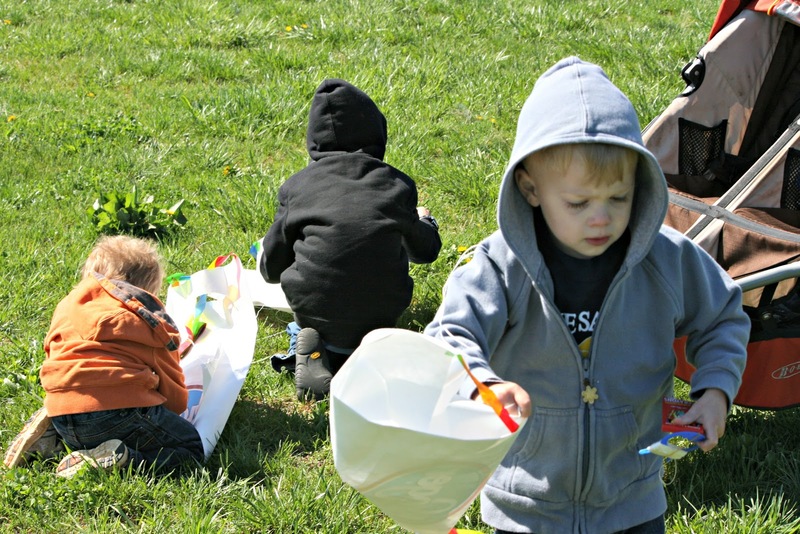 The kids get blank paper and markers and can make their own kites. Looks like really PERFECT weather!! Those are some beautiful kites. Its great they were giving out kite to the children. Kite flying was always such great fun when we were kids. How fun! Love these pics, Lisa. You guys do know how to make the most of life! I remember taking my little brother kite flying. I must go out and buy one soon for the girls. Ooooh, FUN! I love all those different kites that they make now. I remember flying kites a lot as a kid....do kids do that anymore? what a fun day! I love kytes too! I can't think of a more wonderful way to spend time. Happy, happy memories you brought back. That looks like a fun time. I love seeing kites in the air!